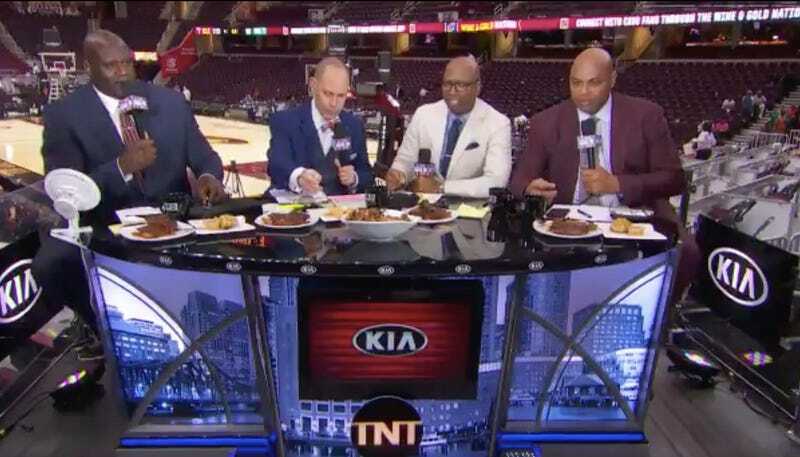 After the Cleveland Cavaliers’ comeback win over the Boston Celtics, the TNT NBA crew of Shaquille O’Neal, Charles Barkley, Ernie Johnson, and Kenny Smith were on hand to offer up some post-game insights. Ostensibly. Smith tried valiantly to get things back on track and Johnson whined about why things had to “get personal” before giving up and defeatedly eating his chicken. Better TV than the actual NBA playoffs.